Clear skies. Low 58F. SW winds shifting to SE at 10 to 20 mph..
Clear skies. Low 58F. SW winds shifting to SE at 10 to 20 mph. 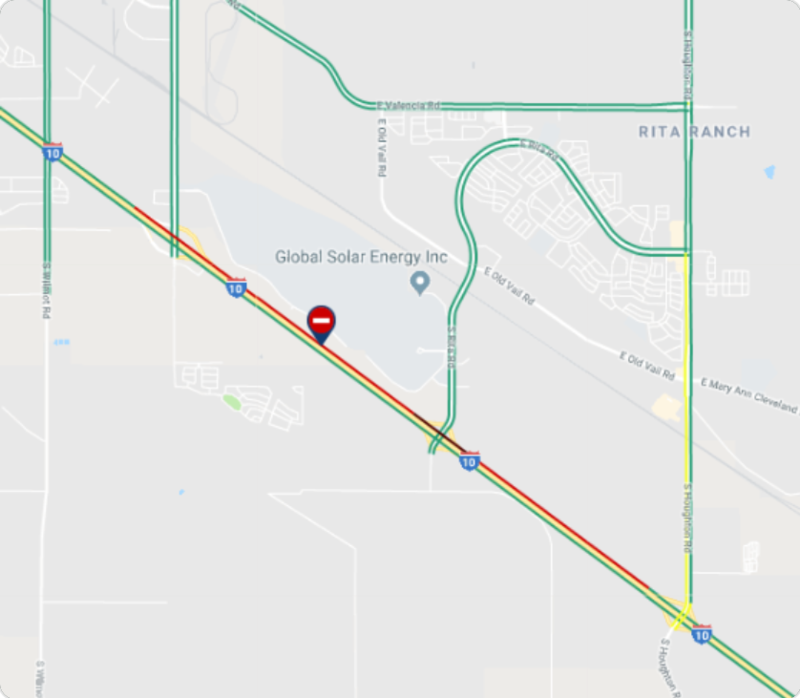 The westbound Interstate 10 near Rita Road is back open Sunday morning after a short closure due to a crash, according to the Arizona Department of Transportation. The crash was a two vehicle collision with two semis, according to the Department of Public Safety. There were minor injuries. There is no more information. CORRECTION: The crash closing I-10 near Rita Road involved two semis.